What’s good? 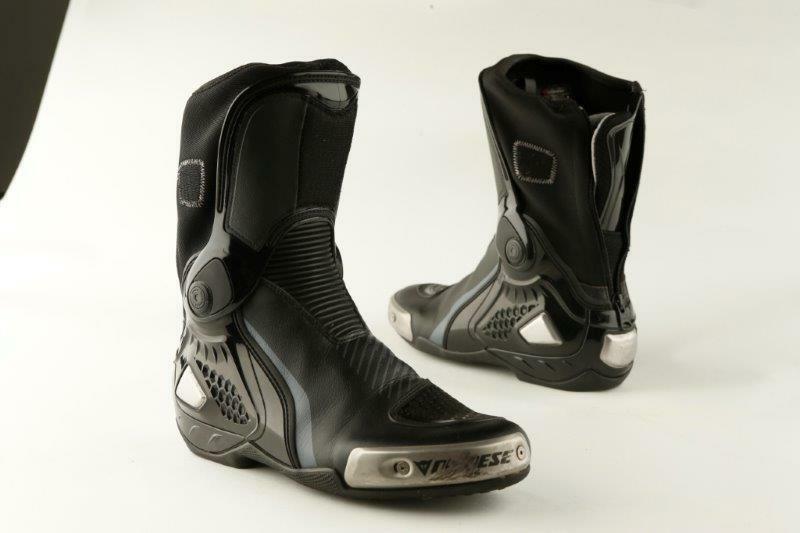 My first pair of ‘innies’ came about only because a new set of leathers (Arc-On, not Dainese) were better suited to zipping down outside my boots. These are beautifully made and noticeably lighter than an equivalent pair of sporty ‘outies’. Laterally they’re reassuringly stiff with good peg feel across the sole and decent ankle movement. They are easy on and have an internal lace to adjust fit and tightness. They don’t scuff the bike and they don’t squeak. Hooray! What’s not? The elasticated microfibre upper was initially abrasive and distracting. Better now. If you have wide feet consider going up a size because the fit is narrow.